Our hearts are pumping so we are all living. But are we really alive? There is so much more to life that just making it through the day. There’s so much more that going to work everyday to pay the bills. There’s so much more to life than buying that next new thing or going to that next new place. Is my heart and mind and soul really alive? Really living is when we have this light of life. We experience a whole new dimension here on earth when we choose to live in the light of life. God is moving. He is making things happen. He is loving us and caring for us. He is moving mountains for us. When we live in the light, we can see some of what he is doing right before our eyes. When we are in tune with God we can understand his strength and we can feel his love. We can sense his presence right beside us – lighting up our world. This is what it means to be really alive. 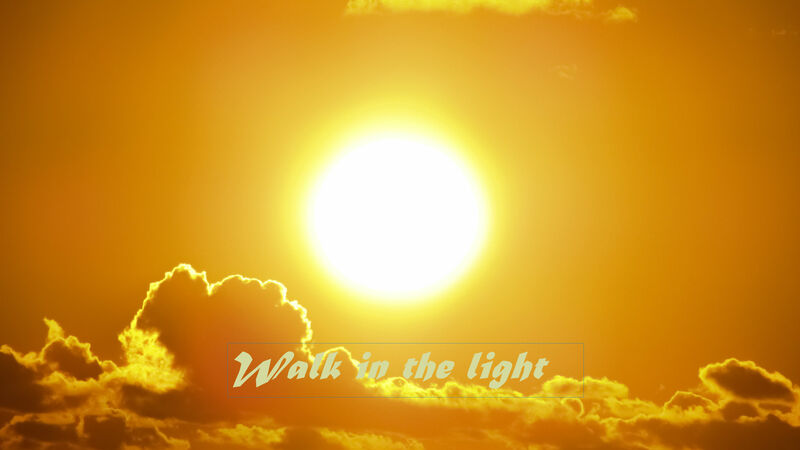 Jesus made his free gift of grace available to everyone – we just need to choose to walk in the light. If you haven’t made that choice – today is a great day to accept salvation through Jesus. Thank you for making it possible for all of us to be really alive, Abba Father.